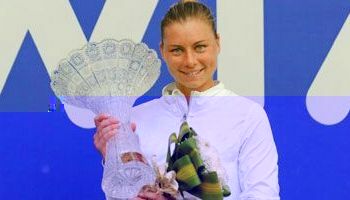 On Sunday in Azerbaijan, in the final of the Baku Cup the 2010 US Open & Wimbledon finalist (and this year's champion in Doha, Qatar), 26 year old top seeded #3 (career high: #2) Vera Zvonareva from Moscow, Russia, defeated 20 year old 7th seeded #65 (career high: #55) Ksenia Pervak from Moscow, Russia, 6-1, 6-4 (Vera is shown with the glassware after the match; Ksenia is shown during her SF win on Saturday). Vera's prize is $37,000; Ksenia's is $19,000. Vera won 63% of her 1st serve points and 64% of her 2nd serve points, while scoring on 6 of the 9 break points she reached against Ksenia, and totaling 58 points in the match. Ksenia won only 46% of her 1st serve points and 33% of her 2nd serve points, while converting 2 of the 3 break points she reached against Vera, and scoring 38 points in the 1 hour, 23 minute match. Ksenia said: "Vera is a really good player and has a lot of experience. It was tough to play against her...It was a really tough match, but I played pretty well I think." 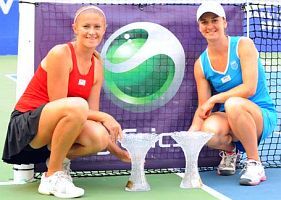 Vera and Ksenia had met only once before, on a hardcourt last year in the 1st round at Pattaya City, when Vera defeated Ksenia 6-3, 6-2. 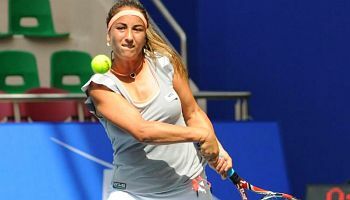 Vera is now 12-16 in WTA singles finals; she won this year at Doha, and last year won at Pattaya City and reached the finals at Wimbledon, Flushing Meadows, Beijing, Montreal, and Charleston. 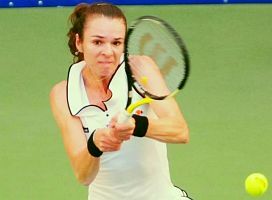 Vera's 2011 singles match record is 37-12. 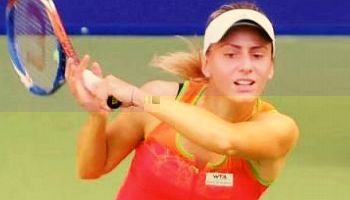 Ksenia was playing in her first WTA singles final. She has won 7 ITF singles titles and 3 ITF doubles titles. Ksenia's singles match record this year is 30-17. How do players get into the "draw"? Baku: The 32-player main draw for Baku has 8 seeds, with no 1st-round byes. There are 4 qualifiers in the main draw. Qualifying (3 rounds) starts on Saturday, qualifying finals are on Monday. Baku is a late replacement for the Portoroz, Slovenia, tourney, which lasted six years. Tatiana said: "We're really happy, because winning a tournament is always nice and that final was really tough. Monica and Galina are great doubles players and a great team. We knew it would be tough, and we would have to stick together for every point." Link to many postmatch interview & match highlight videos of WTA players at the 2009 WTA Player Videos page. 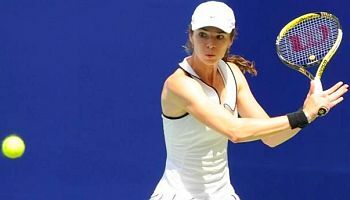 WTA PhotoRankings: the current top 20 Women's Tennis rankings with player photos, links, and bio info.